The Pacific Crest Trail (PCT) stretches for 2,650 miles, from the California–Mexico border to the Washington–Canada border. In Oregon, the PCT runs for 455 miles from Donomore Pass in the Siskiyou Mountains to the Bridge of the Gods in the Columbia River Gorge. As the trail crosses the Beaver State, it traverses oak woodlands, old-growth forests, alpine environs and volcanic plateaus. 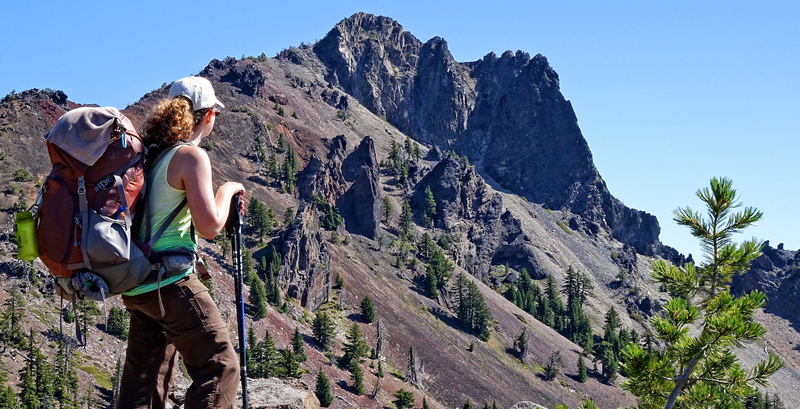 The PCT in Oregon can be dayhiked, section-hiked or thru-hiked. This site serves as a news and information resource to assist you in planning your own journey on the PCT in Oregon. It is also designed as a supplement the guidebook, Hiking the Pacific Crest Trail: Oregon. Here, you will find trail news, conditions updates (seasonal), trip planning suggestions, gear reviews, local and regional resources and more. No matter whether you plan on hiking for a few days or a few weeks, you can have a great experience on the PCT in Oregon. People hike the PCT for a variety of reasons: as a vision quest, to challenge themselves, or just to escape into the wilderness for a while. The nice thing about the PCT in Oregon, is that it can be hiked by just about anyone. 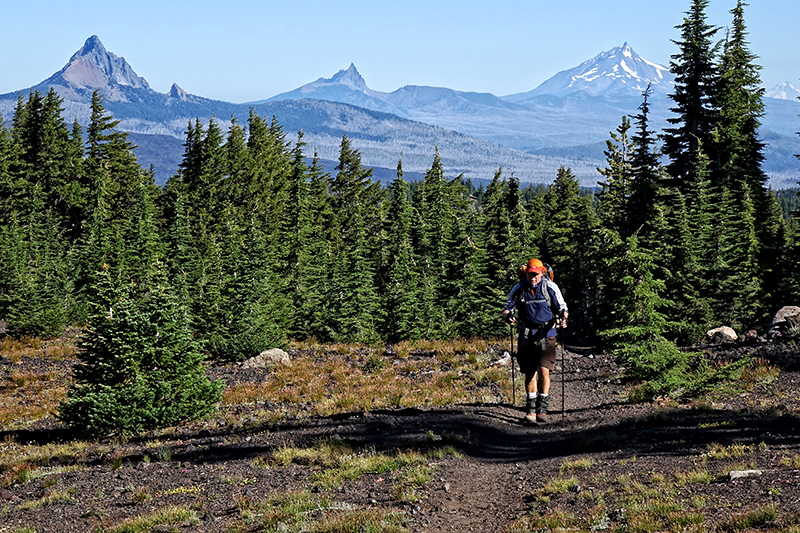 Most of the trail through Oregon is mild to moderate difficulty, at mostly moderate elevations, and with few challenges. This makes the PCT accessible to hikers of all abilities and interests. 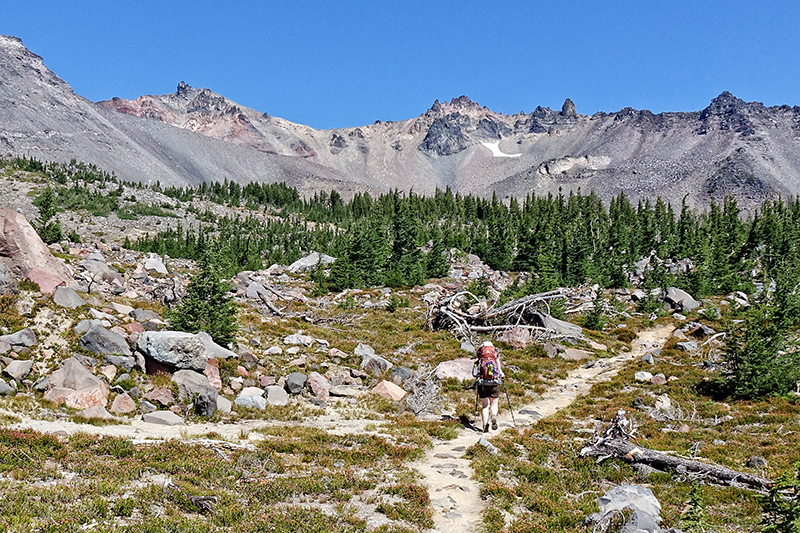 You do not have to be an uber-hiker to enjoy a jaunt on the PCT in Oregon. 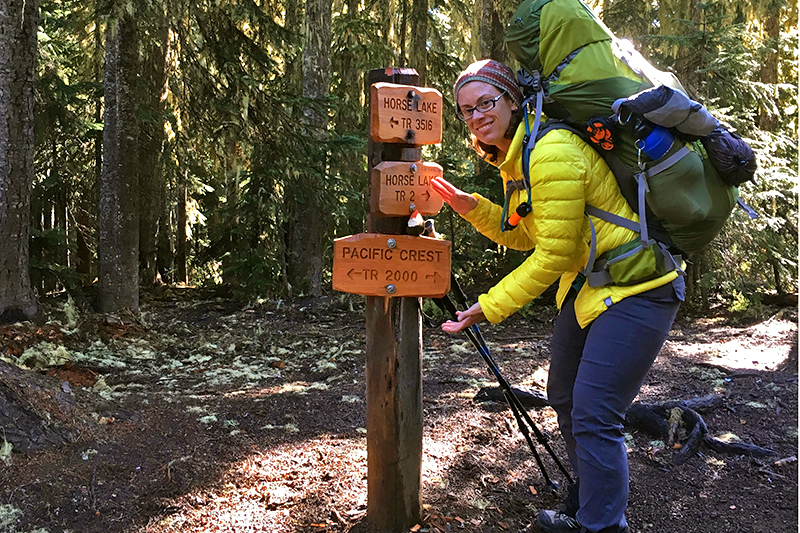 This site, along with the guidebook, Hiking the Pacific Crest Trail: Oregon, is intended to assist hikers of all stripes—from casual dayhikers to long-distance thru-hikers. Our emphasis is on accessibility and enjoyment. You will find information and resources here for everything from resort slack-packing to ultralight thru-hiking. We follow the motto, “hike your own hike.” The important thing is to just lace up your boots and go for a walk. 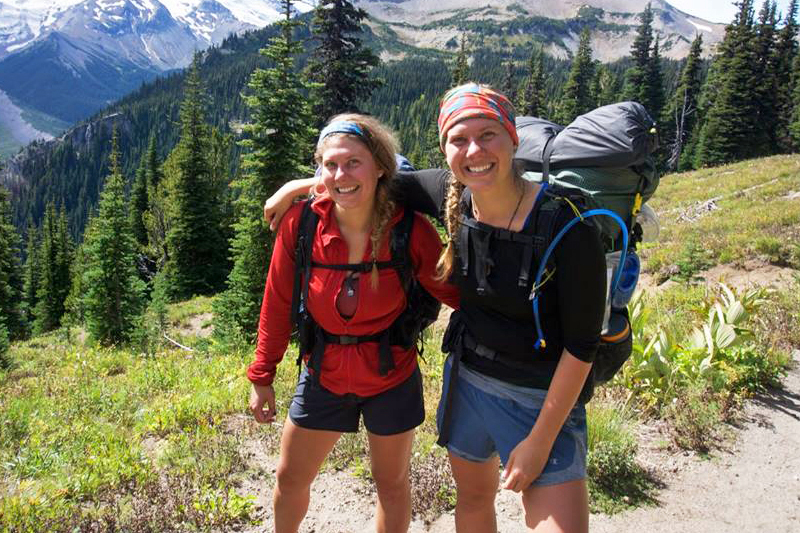 Sisters Alexa and Kahla training for the PCT on the Wonderland Trail. PCTA's Mark Larabee preparing dinner in Jefferson Park. 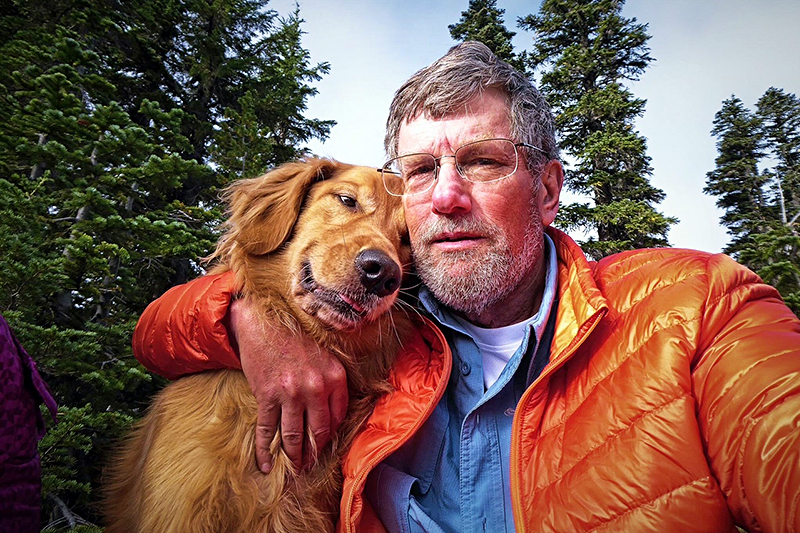 Robert "Bypass" Barber on the PCT with his furry pal, Murphy. 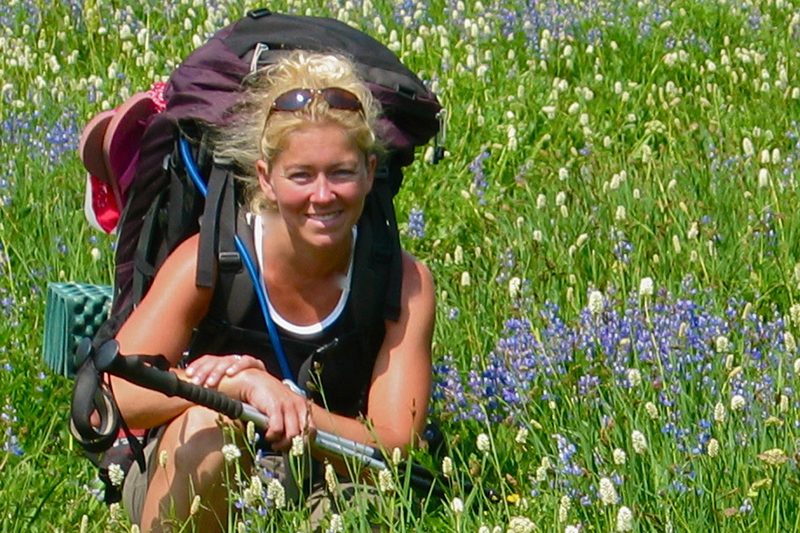 Hiking the Pacific Crest Trail: Washington author Tami Asars on Mt. Rainier. PCT hiker Sarah LaRue in the Three Sisters Wilderness. 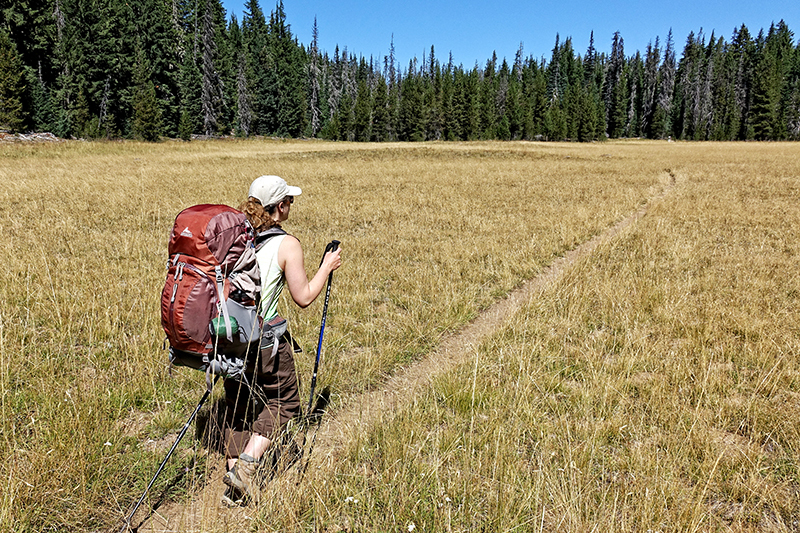 PCT hiker crossing a meadow in the Three Sisters Wilderness near Elk Lake. A southbound PCT hiker approaching Opie Dilldock Pass in the Three Sisters Wilderness. PCT hiker entering the Diamond Peak Wilderness. The most important thing you can do to ensure a successful PCT hike is to be properly prepared. That means having the proper gear, knowing how to use it, and being prepared to encounter a variety of trail and weather conditions. Study your to create a loose hiking itinerary. This will also give you an idea of what the terrain is like, what kind of water access you’ll have, and where you will camp. Working a little flexibility into your plan can also help you deal with unexpected weather conditions, or if you decide to take a side trip. Familiarize yourself with your gear so you know how it operates; leave instructions and packaging at home. Prepare for long hiking days by conditioning on local trails before your big trip. Do your practice hikes with your full pack to get acquainted and comfortable with your big load. Carry your Ten Essentials so you can be prepared for a variety of trail and weather conditions, minor injuries or unforeseen incidents. Pack an extra day’s worth of food in case of an unexpected delay. 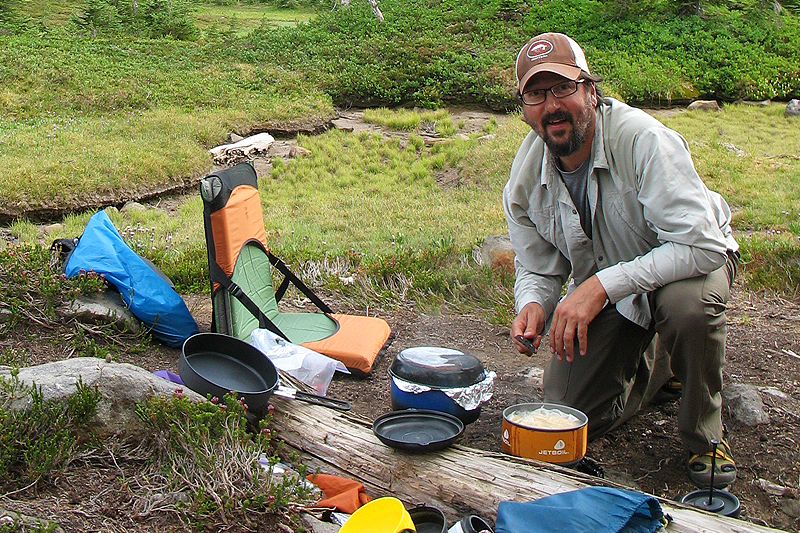 Follow good Leave No Trace practices when it comes to choosing campsites, cooking and storing food, and managing waste. And of course, be courteous to fellow hikers. Leave your hiking itinerary with a friend or family member, and have an exit plan in case of inclement weather or emergency. Consider carrying an emergency locator device (e.g., SPOT). Use this site, in conjunction with your Hiking the Pacific Crest Trail: Oregon, to help you plan your hike. Check out PCT: Oregon’s resource pages for information on permit requirements, choosing campsites, resupply locations, Oregon PCT maps and more. Gear up for the outdoors by checking out our latest trail gear reviews. We cover a wide variety of hiking gear for everyone from novice hikers to experienced ultralighters. Follow PCT: Oregon on social media (Facebook, Instagram, Twitter) for trail news and updates, inspiring photos, gear giveaways and connect with the PCT community. The Pacific Crest Trail is your trail. More than 90% of the PCT is on public lands. Yet while the trail is administered by regional land managers, it is largely maintained by the Pacific Crest Trail Association (PCTA) and their dedicated army of volunteers. These tireless trail stewards are the ones clearing the blowdown, fixing tread and brushing back overgrowth. Consider joining or contributing to the PCTA, or better yet, pitch in on a day of trail work near you.